A new, very brief deleted scene from Justice League has surfaced online showcasing Ben Affleck's Batman at work. Perhaps more than any other movie in recent memory, there is a treasure trove of unseen and unused footage from Justice League that may never actually see the light of day. This, due to the fact that Zack Snyder started making the movie, shot most of it, then departed the project (or was fired, depending on who one listens to) only for Joss Whedon to come in and do extensive reshoots. And that gets to the heart of the matter with this clip; is it Snyder or Whedon's doing? The clip surfaced on Twitter from an unknown origin and features Gotham PD security camera footage of Batman throwing a Batarang at the camera to disable it. The footage, in total, is just a single second long, but it's a pretty sweet moment for fans of the character. The camera is also labeled as "GCPD CAM 52" which appears to be a reference to the New 52 run in DC Comics, as a nice little Easter egg. Certain DC fans have been going nuts for the clip, but it does raise the question as to which director is responsible for this bit of footage. Not to mention how it might have been used, and under what context, in Justice League, had it made the cut. Unfortunately, without any further context, it's pretty much impossible to discern as to whether or not this was a Zack Snyder original bit of footage, or something from the hefty Joss Whedon reshoots. It has a slightly more gritty feel to it and, as we saw in Batman v Superman: Dawn of Justice, Snyder likes his Batman nice and gritty. And murdery. It's still interesting to consider Zack Snyder's place within the DC fandom these days. Many loathed his take on the Caped Crusader in Batman v Superman: Dawn of Justice. Yet, once the theatrical cut of Justice League arrived, which was something of a Frankenstein's monster between both director's visions, fans were calling for the release of the Snyder cut, which may or may not exist but either way will almost certainly never see the light of day. Now, it seems like a large chunk of fans miss Snyder more than anything. Would this particular Batman clip be included in the mythical Snyder cut of Justice League? We'll probably never know. It's also unclear if Ben Affleck is ever going to suit up as the character again, but it's seeming less and less likely that's going to be the case. 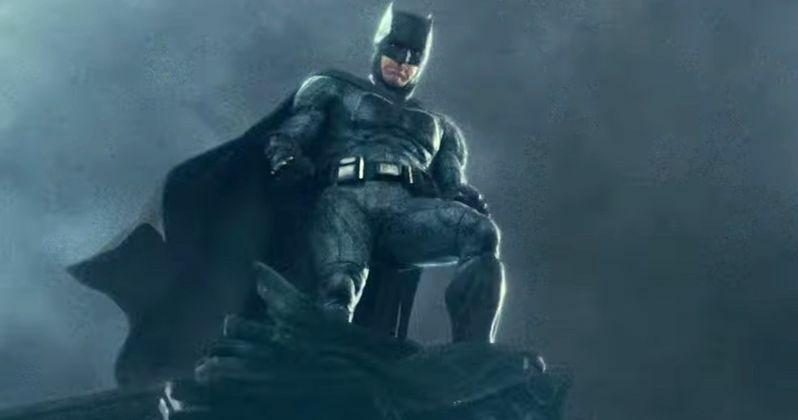 So for those who do love Batfleck, little choice bits of footage like this become more and more precious, as there isn't a high probability of us seeing him suit up for a solo movie in the future. Be sure to check out the deleted Justice League clip from Kushal's Twitter account below.